Thistlecrack – what can you say? The 21,000 or so at Kempton on Monday, me included, were treated not to a race but a display that amounted to a double lap of honour! Over 40 years I’ve been going to Kempton on Boxing Day, I’ve been lucky enough to witness Dessie’s quartet and the legendary Kauto Star’s five and many greats sprinkled throughout, but never have I ever seen anything like that. 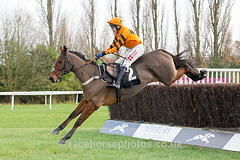 Thistlecrack possess an engine that we are very unlikely to witness in full capacity. Having kept the other four runners company for at least a circuit, the novice pulled his way to the front and then just galloped relentlessly towards the line. It must be remembered that it was only his fourth start over fences. His jumping was breathtaking, stuff for analysts to fantasise over. If ever there was a manual to be printed about how to win a King George then Thistlecrack just provided the content. Irish challengers were conspicuous by their absence - they are not silly. Do you think they knew the potential talent and thought best and preferred to wait until Cheltenham in March? Just who can beat him now? He is 5-4 generally, and given he is odds-on in places, which seems more realistic, it also seems big! Coneygree, Djakadam, Cue Card, Don Cossack, and Valseur Lido are his only rivals priced at under 20-1 in the Timico Cheltenham Gold Cup. Near the start of the season in this blog I hinted that Colin Tizzard should be backed in the top trainer market at 33-1. He quickly shortened in to 20-1 that week. After continued success, and the general realization that his stable is full of stars who can claim big prize funds, he is now only 5-1! Tuesday is Chepstow, but not as we know it, as the ground is good to soft, where normally we expect the extreme of heavy on Coral Welsh Grand National day. Mudlarks such as Houblon Des Obeaux, Firebird Flyer, Bishops Road and dual winner Mountainous will feel like they’re running on firm! Native River has top weight to contend with, but given the form Team Tizzard is enjoying at the moment weight seems almost immaterial. The Hennessy Gold Cup winner can jump out in front and it would be no surprise to see that is where he stays. Milansbar also likes to be ridden prominently. He just failed to carry top weight in the Midlands Grand National, having conceded 7lb and given an eight-length beating to Three Faces West in February. In early December he had a decent run out in fourth at Chepstow, which should put him spot on for this massive task and in some respects I believe his price is an insult, as hopefully he can find his way into the frame at least. I’ve only given him a cautious each-way pick, as Native River could be in a different league and readying himself to assist Colin Tizzard achieving a 1-2-3 in the Gold Cup. My work is now done on Channel 4 and as a weekly columnist on this website. I’ll leave you with a line from a recent film I watched: “Wherever life takes you, there’s always a place where your heart remains”. I bid you farewell and all the best for 2017 and beyond.